Close on the heels of achieving their first podium of the season, Hero MotoSports Team Rally, the motorsport team of the world’s largest two-wheeler manufacturer, Hero MotoCorp Ltd., has further bolstered the Team’s profile by signing the Portuguese champion, Paulo Goncalves as its fourth rider. Hero MotoSports Team Rally recently achieved an impressive podium finish at the 2019 Merzouga Rally in Morocco. Paulo’s entry will add further impetus to Hero MotoSports’ campaign as the Team looks to improve on its already impressive results over the previous three years. 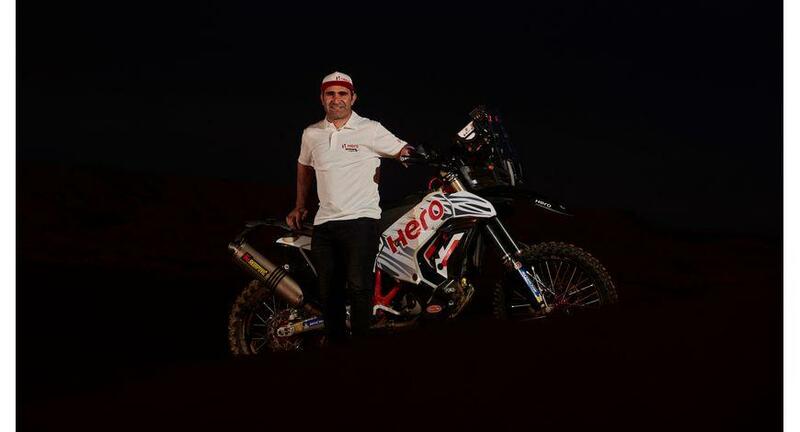 The multi-faceted rider, Paulo will compete alongside the Team’s ace pilots -- the most experienced Indian Dakar participant, CS Santosh, Portuguese star Joaquim Rodrigues, and Spanish sensation, Oriol Mena. He will make his debut for the Team at the Silkway Rally (Russia-Mongolia-China) in the month of July this year. Hero MotoCorp forayed into international motorsports with the formation of its rally racing team, Hero MotoSports Team Rally in 2016. The Team has already demonstrated immense potential with a series of impressive performances across the world, including two top-10 finishes at the Dakar Rally. Dr. Markus Braunsperger, CTO – Hero MotoCorp and Head – Hero MotoSports, said, “First of all, let me extend a very warm welcome to Paulo Goncalves to the Hero MotoSports family and also to the larger Hero family. In a short span of three years, the Team has delivered some impressive results, and now with Paulo’s wealth of experience, there are no doubts that we will be able to lift our performance in every aspect of the rally sport. Paulo’s move also provides acknowledgment to the fact that we have been able to establish ourselves as a sought after team for the top talent in the sport. This bodes well not just for the team, but also for our fans and customers, as at the end of the day, our efforts in motorsports are aimed at building better technology and products for both on and off road. I wish Paulo a great career and success with Hero MotoSports Team Rally and all the best to the team for the upcoming races."